Thank you all for taking your time to write us your review. If you have a story to share, please email us. I bought Raccoon Solution 6 months ago and it works wonders. My husband and I live in downtown Toronto, and we have nowhere to put our green bin except on our front porch. Raccoons used to visit our trash almost everyday and leave a mess for us to clean up. We both hated the job of picking up the ransacked garbage and putting it back in the bin. I really want to thank you for finally saving us from this awful job. I will definitely recommend Raccoon Solution to all my friends and family. 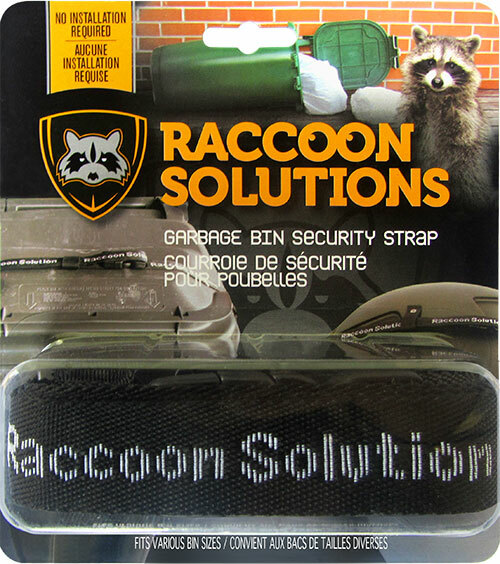 My sister told me to check out Raccoon Solution and I’m so glad that I did because I don’t have to worry about raccoons getting into my trash anymore. I’m so happy that I don’t have to store my green bin inside the garage, especially during the summer months. The food inside the green bin caused my garage smelling like dead fish. Great product! I used to use bungee cord to lock the green bin, but that only lasted few months until raccoons figured out a way to get into the garbage again. I was frustrated and hated picking up the mess. I’m so thankful you have created a product that keeps the raccoons out of the Green Bin for good! 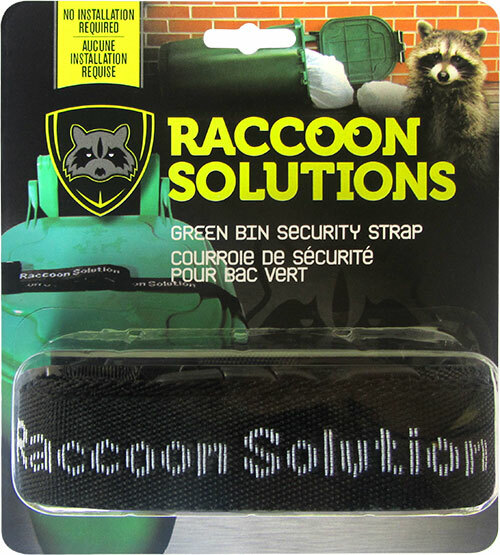 At first I was sceptical about Raccoon Solution since I never buy product online before. However I was at the end of my sanity dealing with the raccoons. I don’t need to go into details – I’m sure whoever is reading this knows exactly what I mean. It was my husband who convinced me to give it a try and I’m glad I listen to him ‘this time’. Raccoon Solution works and I’m happy to be your customer. Valentine Gift – I bought my wife Raccoon Solution for Valentine Gift as a funny joke, it turned out that she loved it. For 10 years of our marriage this was the cheapest and the most practical gift I ever bought her. Thank you. My wife and I spent $600 on building a shed in our backyard. Purpose was to keep all the bins inside the shed so raccoons cannot get into it. It was a waste of money because on the day of garbage pickup we put the green bin out on to the sidewalk…the raccoons trashed the bin again. I turned to Google for help and I landed on your webpage. The rest was history. Thank you.